Saturday, August 27, 9 A.M.–1 P.M.
Sunday, August 28, 11 A.M.–1 P.M.
Click here for a look at more of the fine merchandise available at this event. 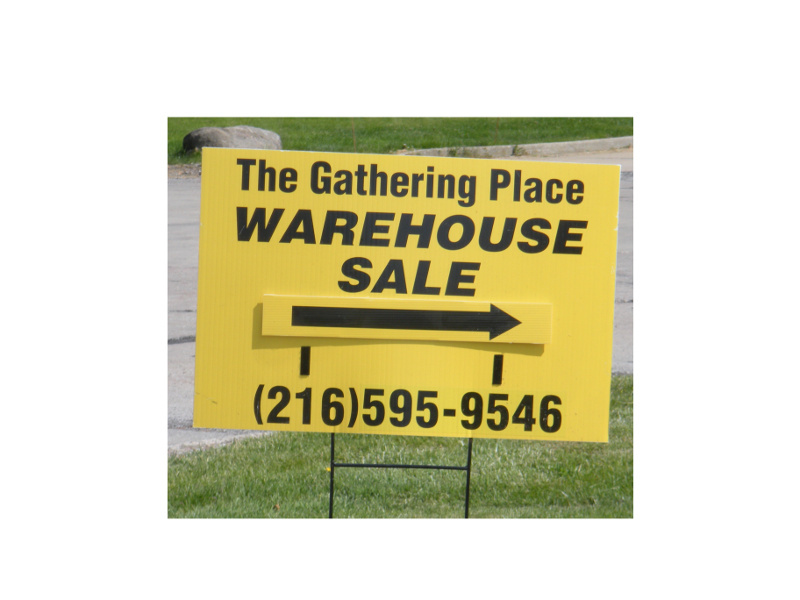 Look for this sign at The Gathering Place Warehouse Sale. The sale takes place at The Gathering Place Warehouse, 4911 Commerce Parkway, Warrensville Heights, Ohio (map). (Note that this is a different location from The Gathering Place.) Terms for all purchases are cash or credit cards only. The Gathering Place Warehouse gift cards will also be available for purchase during the sale. The Gathering Place Warehouse accepts gently used furniture and other household items for resale. If you have items that you would like to donate, please contact Outreach Coordinator Cheryl Apisdorf (216-595-9546 or apisdorf@touchedbycancer.org). Please note that The Gathering Place does not accept drop-off donations of furniture or household items at its Beachwood or Westlake locations or at its warehouse. Shop recycled at The Gathering Place Warehouse Home Furnishings Sale: save money, take home beautiful things and keep fine home furnishings from going to waste. Want to stay in touch with the latest recycling news in the Cleveland area? Just click on the Follow button at the bottom of my blog Home page. Saturday, July 30, 9 A.M.–1 P.M.
Sunday, July 31, 10 A.M.–1 P.M.
For this sale, all merchandise is 50% off. The sale takes place at The Gathering Place Warehouse, 4911 Commerce Parkway, Warrensville Heights, Ohio (map). (Note that this is a different location from The Gathering Place.) Terms for all purchases are cash or credit cards only. For more information, call 216-595-9546. 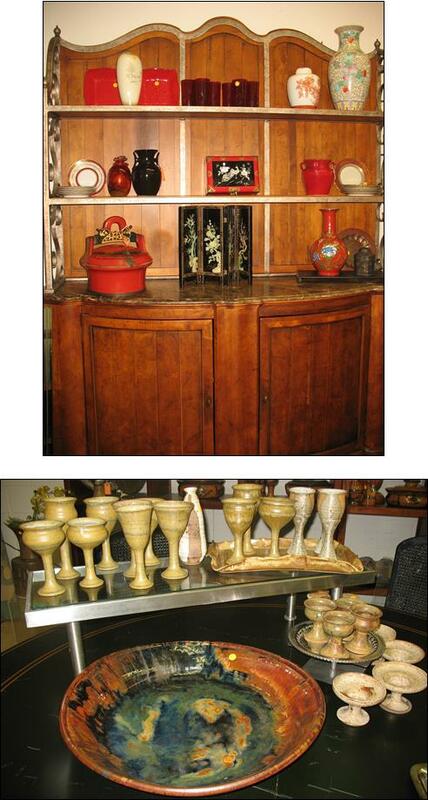 Shop recycled at The Gathering Place Warehouse Home Furnishings Sale. Save money. Add beautiful things to your home and Keep Them Out of the Landfill. Saturday, July 11, 9 A.M.–2 P.M.
Sunday, July 12, 10 A.M.–1 P.M. This Spectacular Summer Sale features fine traditional American furniture … dining room furniture … and lots of great outdoor furniture. Click here for a look at some examples of the fine merchandise available at this event. Readers of this blog can receive a $25 coupon to be used during this sale. To receive details and the coupon, use the Leave a Reply box, below, to send me your name, your email address, and the message Send coupon.